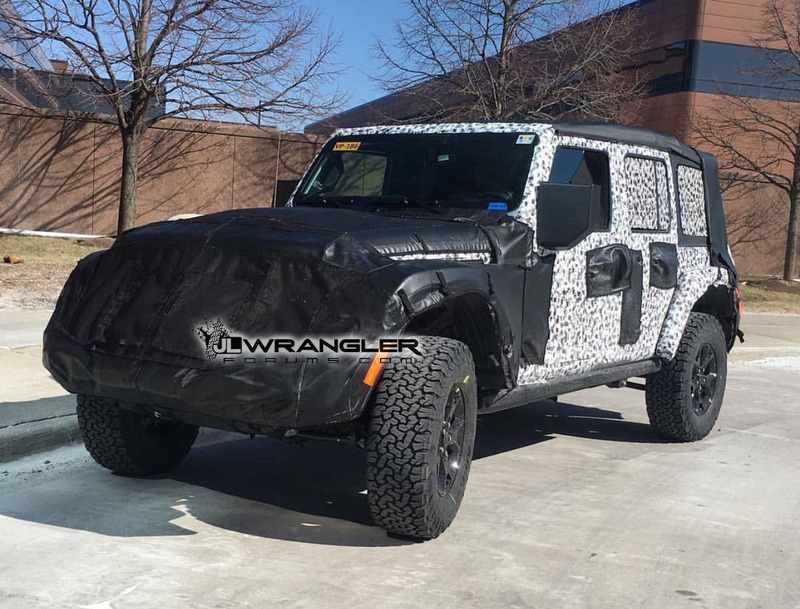 With only a few months left until the November release of the redesigned 2018 JL Wrangler, the highly anticipated camouflaged Jeep has been making its rounds around town during real-world testing. Recently our friends over at the JL Wrangler Forum captured some video of the new Jeep, during one of these test drives around town. Here are some of the important pieces that can be seen in the video and will likely be on the new Jeeps hitting the showroom this fall. 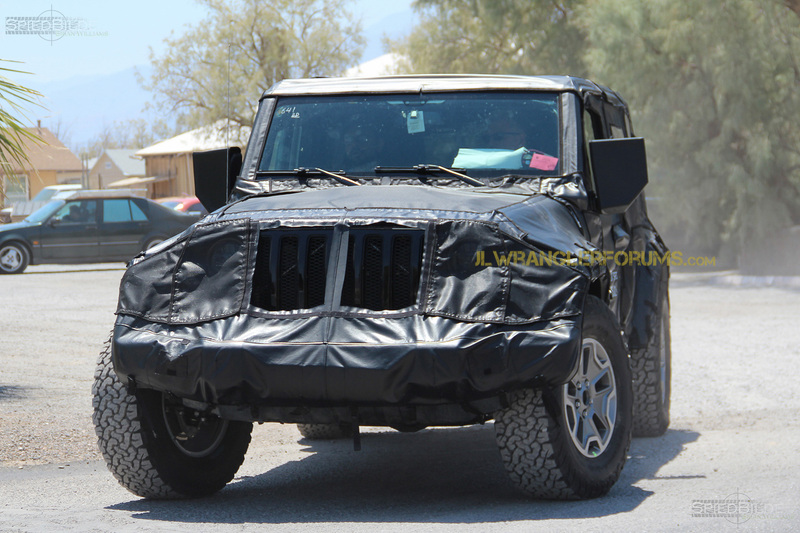 Throughout all the spy photos and renderings, the belief was that Jeep would reposition the classic round turn signals, found on the Jeep’s grill under the headlights, over to the fenders. The move would give the Jeep a more upscale look, while providing a more streamlined and simplified look for the grille. Right from the start of the video, the fender turn signals can be clearly seen through the camouflage, confirming the new design change. One of the most notable items in the video is the 2018 Jeep Wrangler’s elongated angled front, starting from the front bumper to the grille and through the windshield. The Jeep has an overall sloped stance that will improve aerodynamics and gas mileage. The camouflage certainly exaggerates the angle, but the video shows how far out the front bumper sits and the angles of the grille and windshield. The video also highlights large bulges towards the back of the front fenders. The boxed camouflage panels seem to be covering the rumored side vents that were seen in early renderings. The vents would certainly provide more air circulation to the engine, while also provide the Jeep with a nice exterior upgrade. 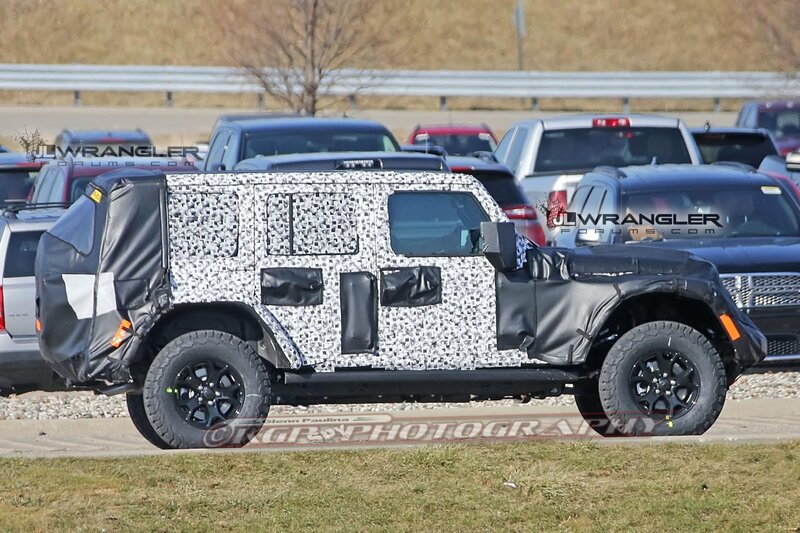 The side mirrors on the camouflaged jeep have a large boxed cover, this is presumably used to cover the relocated side marker lights from the fenders. Considering that the front of the fenders would now have a turn signal LED strip, the side marker lights will be repositioned to the side mirrors. The move would make things interesting if you choose to remove the front doors and keep the Jeep road legal. The door hinges and handles are still heavily camouflaged throughout the video, but continue to provide an indication of redesigned parts. The hinges are rumored to have a more solid overall construction that would still allow the doors to be removed and installed easily. 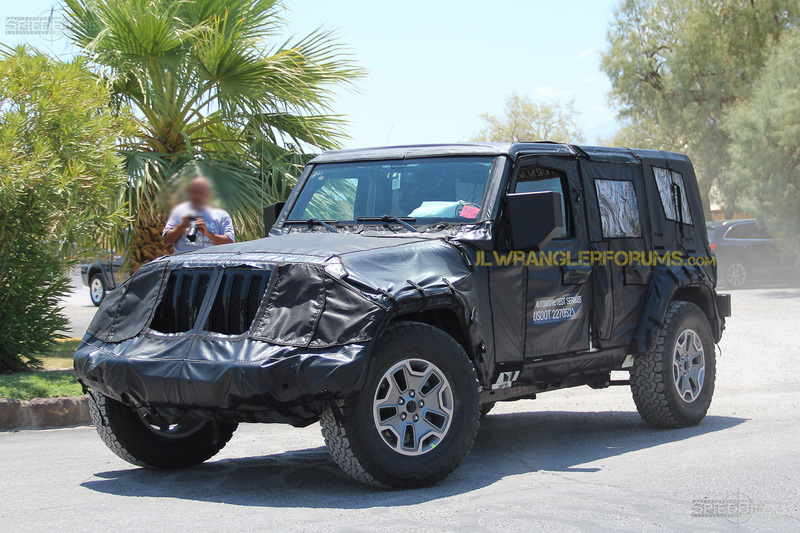 The handles themselves are rumored to have proximity sensors for keyless entry into the Jeep.